Used but 100% Complete. 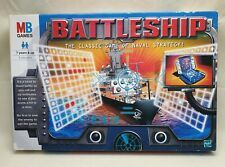 Hours of Fun for the Whole Family! In very good clean complete condition. This is a previously owned item, the box will show general storage and handling and general play wear. However, this box is in great condition. Play with a minimum of two players and spin the spinner to see what shapes you have to twist into - but can you keep your balance?. Complete with original box. Instructions included. Good condition and fully complete with full set of score pads and the 2 original pencils. 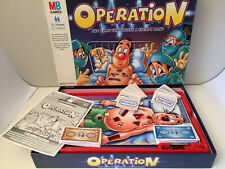 PURPLE RONNIES OPERATION GAME 2001 HERE WE HAVE IS AN MB GAMES PURPLE RONNIES OPERATION GAME 2001 THIS GAME IS USED AND OUTER BOX DOES SHOW SOME WEAR HOWEVER ALL CONTENTS IN A GOOD COMPLETE WORKING CONDITION BATTERIES REQUIRED PLEASE SEE ALL PICTURES PROVIDED ITEM WILL BE POSTED WITHIN 3 WORKING DAYS OF CLEARED PAYMENT VIA ROYAL MAIL 2ND CLASS POST PAYPAL ONLY WHY NOT TAKE A LOOK AT MY OTHER ITEMS THANKS FOR LOOKING! But still fully intact. Collection also available from NR16 area. Connect 4 - MB - 2004 good condition. Stratego lord of the rings edition. 1999 Edition. (Box has one corner reinforced with tape but remains sturdy). The Rules have been copied as the originals were misplaced. MB GAMES CONNECT 4 Four in a Row 1976. MINT CONDITION, 100% COMPLETE, Dispatched with Royal Mail 2nd Class. Vintage Thunderbirds "International Rescue Team" by Peter Pan Playthings 1992. Take command of International Rescue and be the first to complete your mission! For 2-4 players. Complete contents which are in excellent condition. Box base slightly concaved but overall in v.g.c. 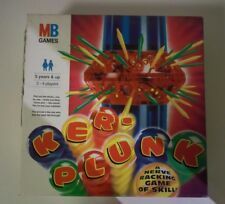 Kerplunk MB Vintage Board Game 1992 Edition Family Fun Ker Plunk Retro Games . Condition is Used. Dispatched with Royal Mail 2nd Class. The Bratz girls are getting ready to step out in style. The Bratz swap outfits so often, who knows where their clothes might be?. Help Chloe, Sasha, Jade or Yasmin raid the revolving wardrobes to find the four tokens that match their favourite outfit and hair style. Overall in good condition- the box has usual visible signs creasing, edge ware and a split to one of the corners. contents are in good age related condition with no missing pieces. Colour of the discs may vary from the picture. Contents are 100% complete. TABOO "THE GAME OF UNSPEAKABLE FUN" MB Games 1996 "Now with a gameboard"
TABOO "THE GAME OF UNSPEAKABLE FUN" MB Games 1996 "Now with a gameboard" . Condition is Used. Dispatched with Royal Mail 2nd Class. Board in excellent condition some wear on box. 4 out of 5 stars - TABOO "THE GAME OF UNSPEAKABLE FUN" MB Games 1996 "Now with a gameboard"
1 product rating1 product ratings - TABOO "THE GAME OF UNSPEAKABLE FUN" MB Games 1996 "Now with a gameboard"
GUESS WHO? - MB GAMES 2004 - IDENTIFY THE MYSTERY FACE! GUESS WHO?. Condition is Used but clean. 1996 MB Games Monkey Madness Motorized Gorilla Chase Game Complete Retro Vtg Fun. Condition is Used. Dispatched with Royal Mail 2nd Class. One key is missing but the one key included can be shared by players. Excellent USED condition. VINTAGE YAHTZEE TRAVELPAX 5 DICE TRAVEL GAME BY MB GAMES - GREAT CONDIT! THIS IS A FABULOUS SET OF 'TRAVEL YAHTZEE' produced by Milton Bradley in 1988. The set comprises of one dice roller, one set of scoresheets (which has split into two) and one set of the original rules booklet. 1 x Spinner. To accumulate wealth by collecting money and life tokens. Will you win the lottery?. Save the planet?. Take a spin and find out. 9 x Career Cards. D rive around the board picking up wealth, valuable Life Tokens and maybe even a family! "GUESS WHO" the mystery face game. 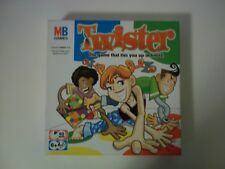 By MB games 2000. Complete. Contents are in excellent lightly used condition and complete. Instruction leaflet (From a 1996 Guess Who). We dont have the room to keep all of them esp when our own take up so much space! I do not try to make a profit on p/p.